The Australian defence industry is at risk of hampering sustained growth, due to a lingering legacy-driven emphasis on manufacturing capabilities rather than bolstering personnel capabilities. That’s one of the key take-aways from an in-depth interview with John Lonergan, the ex-RAAF fighter pilot and CEO of military services firm Milskil with whom Defence Connect discussed some key emerging industry trends. Lonergan was pleased that the services offered by his firm at least in part supported Australia’s current operational capabilities. He said Milskil’s headcount now stood at around 40. "There's a big cart tray of fibre instructors [and] air battle managers from both the ground environment and the E-7 [enlisted personnel] environment," he added. "We are driven by passion for the war fighters’ side of things and… there's a great emphasis in acquisition on the actual equipment and facilities [along with] logistics and supply chains," said Lonergan. "The equipment is a tool that we use, and the end user actually gets the combat effect, so it's a different place,” he added. “We're generally unseen and tend to blend into the operational side of the Defence force, so it's great to be able to have a talk about it." Specifically, Lonergan agreed that in terms of the acquisition and operational prowess of commissioning defence kit, the conversation typically still revolved around the mechanics rather than what the people could bring. "First of all, it is training people that makes the difference with these machines, [and] an important thing with training is [that] it’s always in an evolution," he said. 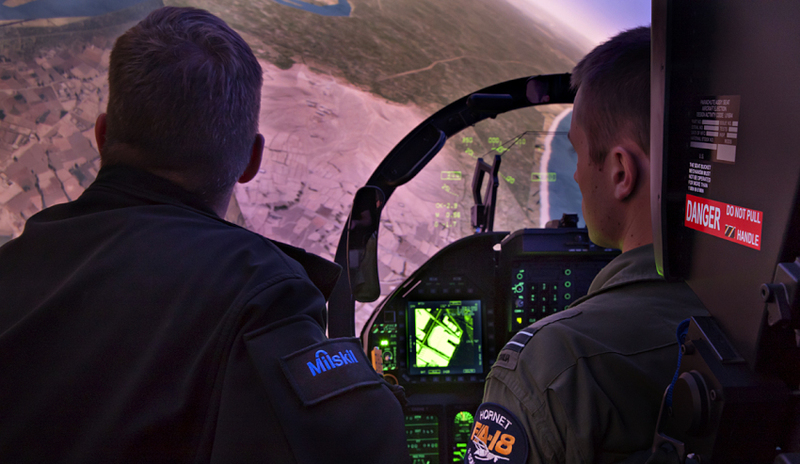 "Operational training, particularly in war fighter training – whether it be Army, Navy or Air Force – is in constant evolution and so what we train for today is not what we trained for last year."